I seen this on pinterest, but I can't find it now. I had bought one of those glass holders for my readers but it kept falling off the arms of the glasses. All I did was crochet around 5 curtain rings that i had got at a yard sale. 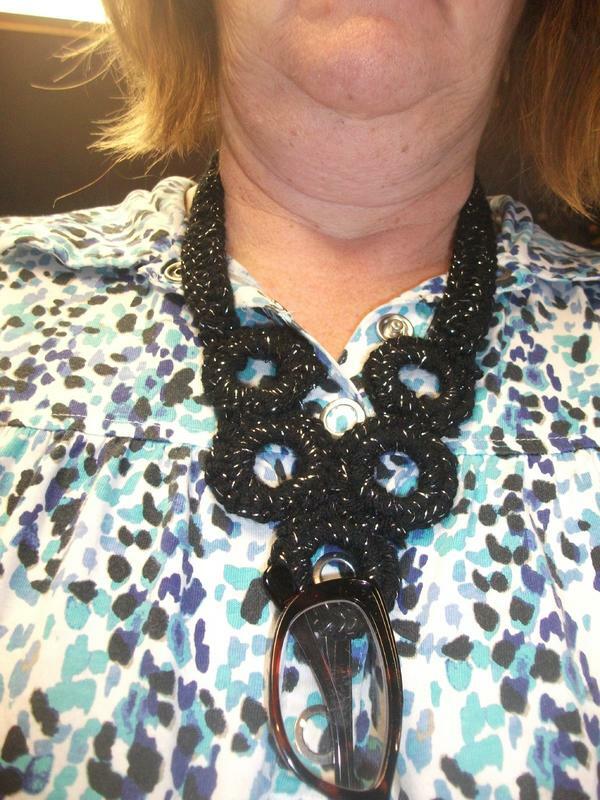 I then joined them together and double crocheted to make the necklace, I love it, my glasses no longer fall. A great idea and would make a nice gift item. That is a great idea! 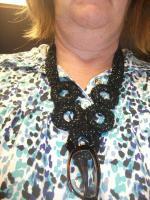 Did you put metal clasps on the back of the necklace or does it fit over your head? I need to make myself one of these! How awesome I wish I could make something crafty like that for my glasses, but unfortunately, I HAVE to wear them unless I'm sleeping!